Last Saturday, I was invited to join Cleo and ZA Beauty Workshop at Connexion Nexus Bangsar South. It was a good event indeed! I enjoyed the tips by Beauty Guru from Japan. Megumi Mitsui San is Za's Global Trainer. She share tips on day to day skincare routine and also some in trend make up techniques using ZA LAB products. 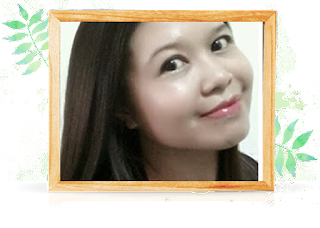 For your information, she was recognised with Excellent Beauty Consultants Award when she participated in the Global Beauty Consultant Contest in year 2004 and to date , she has total 16 years experience in beauty industry. 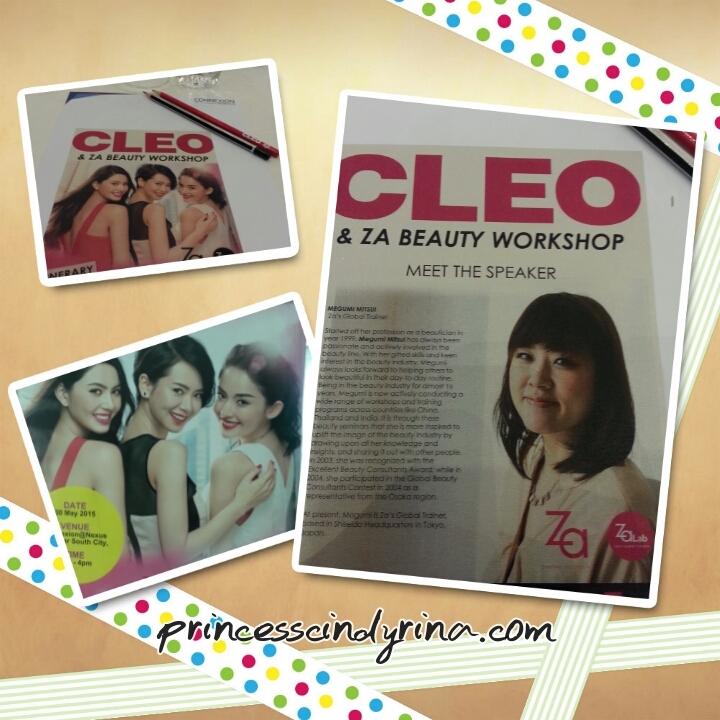 Currently , she is a Global Trainer based in Shiseido Headquaters in Tokyo , Japan. She so beautiful and bubbly up closed! All of us have fun applying the beauty techniques from Megumi San using ZA products. Last use ZA was like 10 years ago? 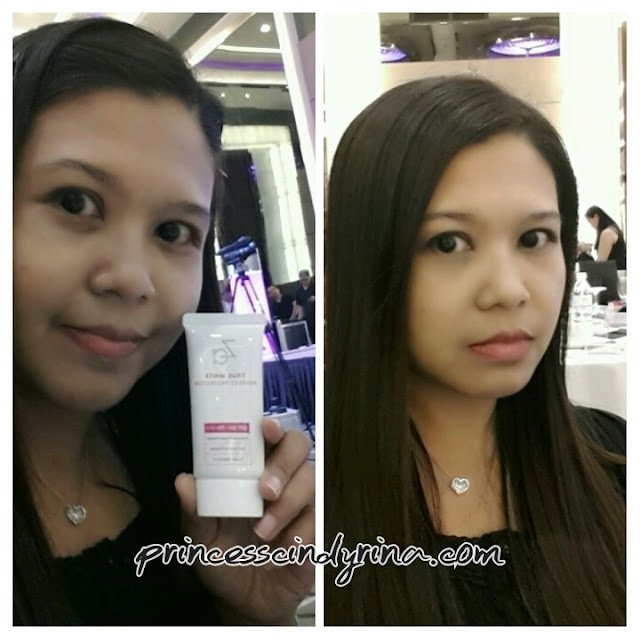 Love their white series skin care which gives a smooth effect to skin. I will do a full review on some of ZA product soon. I am still in the midst of trying out. It always my rules to try out at least 2 weeks before share my product review. Jeng...jeng... surprise gift for all stuck underneath each participant chair. Thank you ZA! I walked away with goodies bag too. I am feeling so blessed last week. I've almost forgotten about the ZA so it's good that they had an event as a reminder that they're still around! 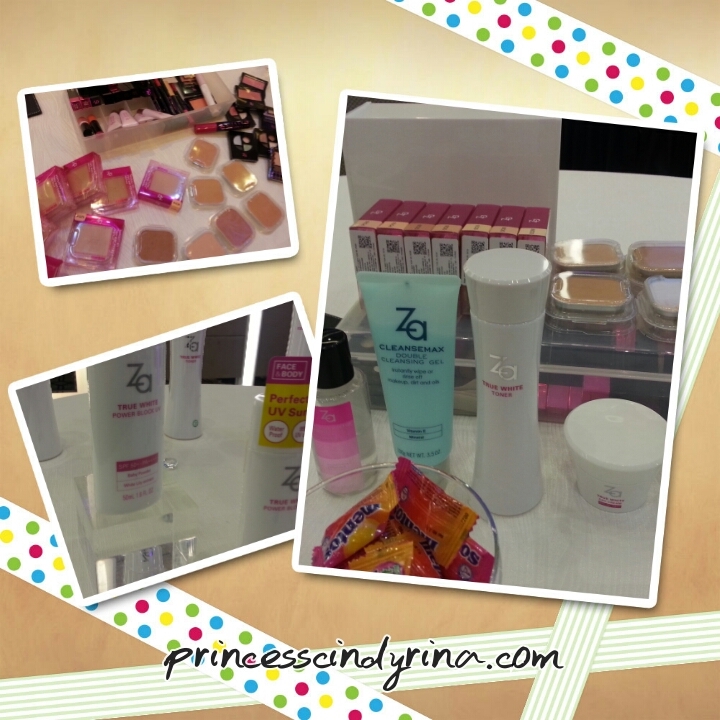 Wow it has been a long time since I used ZA but I recall some of their stuff are good such as the mascara! You look lovely! I've never heard about ZA before.. but a quick google search revealed that they have quite positive reviews too! Happy monday ! i was there at d event too!